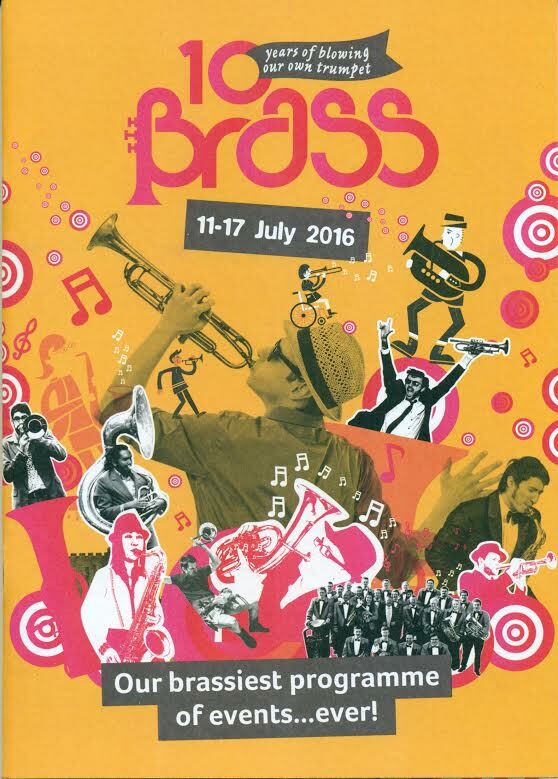 Brass: Durham International Festival or in common parlance Durham International Brass Festival. Whatever it chooses to call itself, the 2016 event is one week away. Beginning a week today - Monday 11 July - community centres, museums, parks, a bridge, a school, a brewery and a boathouse share a common purpose…to transform County Durham into an all-singing-all-dancing capital of brass! Durham City’s tourist trap cobbled streets become ‘Streets of Brass’ over the weekend of Saturday 16th/Sunday 17th July with a brass band of one sort or another popping up outside a pub, on Framwellgate Bridge, the Market Place, and sundry other locations from eleven in the morning to late afternoon. During the week Murton, Newton Aycliffe, Spennymoor and Stanley are just four of several locations across County Durham to host a brass band. New York Brass Band (York, England! ), Oompah Brass, the Always Drinking Marching Band (hic! ), the German Trombone Vibration and Mr Wilson’s Second Liners will play a set in schools, museums and parks. If you’re in Durham during the week, you’ll find it all but impossible to avoid a brass attack. Durham’s Gala Theatre stages a couple of big events; on Friday 15th at 7:15pm the Hot 8 Brass Band appears with support from Leeds-based Portmanteau, currently building a big reputation having been selected to tour on the Northern Line scheme. The Hot 8s perform gigs way beyond the jazz sphere having worked with Mos Def and others. Tickets at £16 are selling fast. On Sunday afternoon (3:00pm, July 17th) a traditional brass band concert features the distinguished Fairey Brass Band. Tickets: £18 (£16 concessions). The Battle of the Somme is commemorated in this centenary year at Durham Cathedral. The Durham Hymns is a major new brass work which will be premiered on Saturday 16th (7:30pm). The Centenary Choir and Brass Band together with Voices of Hope with lyrics by Poet Laureate Carol Ann Duffy will remember the many soldiers of the Durham Light Infantry wounded, killed or reported missing in action at the Somme. The music has been composed by Orlando Gough, Jessica Curry and Jonathan Bates. For tickets and further details visit www.brassfestival.co.uk.